Our great Member of the European Parliament Roger Helmer has just launched his new campaign ahead of the EU elections for the East Midlands region with a series of posters and postcards. 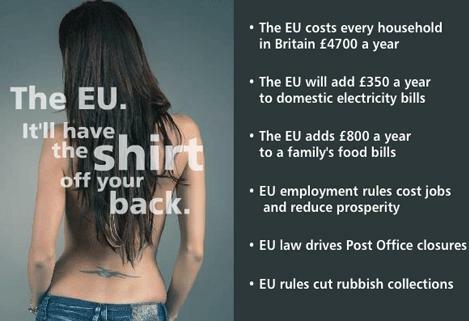 The picture above is of both sides of the postcard and gets across a few simple messages about the real cost of the EU. It uses plane and simple language, with everyday figures that we can all get our heads around. 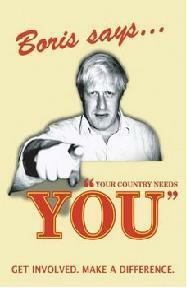 For those of you familiar with YBF (the Young Britons Foundation) you may recognise the image. It was created by them as part of their campaign to highlight the EU’s excessive spending and waste ahead of the EU elections. Roger works closely with YBF and often speaks at their events and it’s always great to see cooperation like this. For more information about Roger’s campaign please click here. You are currently browsing the Leicester University Conservative Future blog archives for the day Friday, March 13th, 2009.